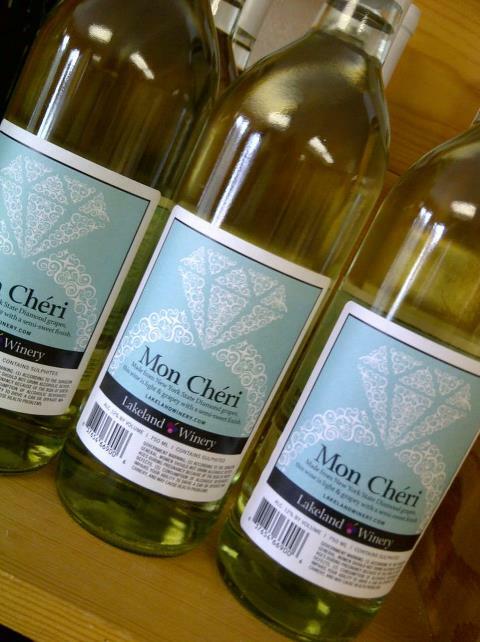 La la la la la, mon cheri amour… Sorry for that Stevie Wonder moment, but that’s what I hear every time I take a sip of our Mon Cheri. It’s a light, semi-sweet wine made with New York Diamond grapes. It’s the July Wine of the Month, so stop Â in and get yourself a couple of bottles — buy one, get one half off!